2013 Scottsdale Top Ten Sire for halter & Performance points. Jake with progeny wins in both Halter & Performance congratulates all the owners of Jake kids on their success at the prestigious 2013 Scottsdale Show. Jake had a total of 25 Halter points & 77 Performance points which represents the best balance of any of the Top Ten Sires. It is sometimes said that an individual has “The Midas Touch,” meaning that everything they touch turns to gold - that everything they do, they do extremely well. In the world of Arabian horses, Jake Jamaal JCA+/ definitely has that golden touch. Everything he does, he does extremely well. Some horses excel in halter competition - they seem to know that they are exceptional individuals and they actually respond to the cheers and adulation from the spectators. The more the crowd cheers, the more the horse seems to like it and doubles its efforts to show. Some horses do well in performance competition - they seem to enjoy the work and having a job to do, as well as the interpersonal relationship that develops between a horse and rider. Jake Jamaal JCA+/ is one of the rare individuals that have succeeded in both halter and performance competition on the regional and national level. 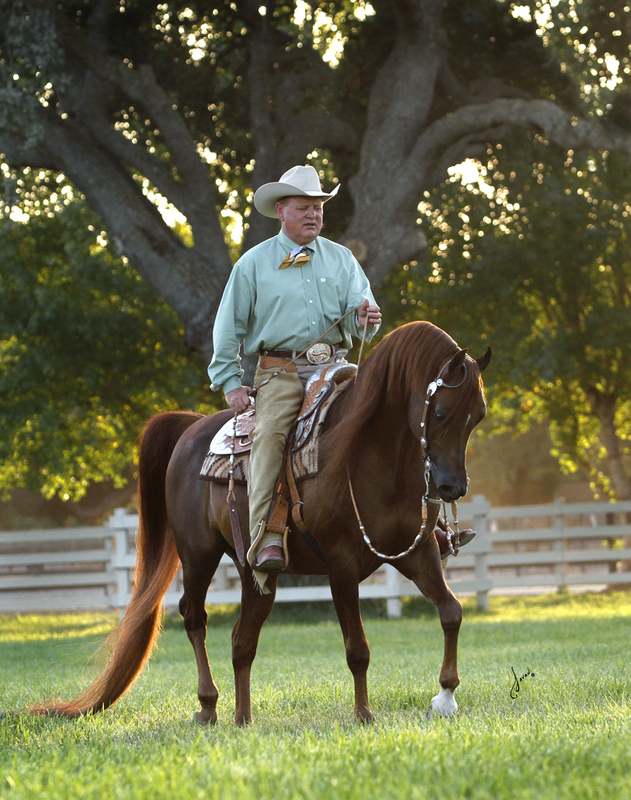 Jake began his halter career with a Region II Top Five Sweepstakes Yearling Colt award, he was also the unanimous Cal-Bred Futurity Yearling Colt and he went on to be named a U.S. National Top Ten Sweepstakes Yearling Colt. 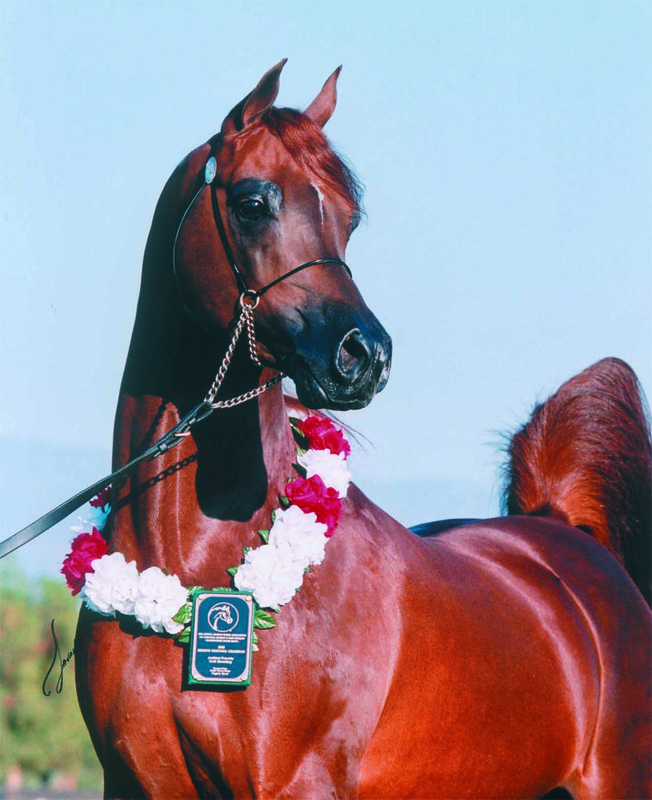 Later, he was named Region III Champion Stallion and that same year he was named Cal-Bred Futurity Champion Colt and U.S. National Reserve Champion Futurity Colt. Having won just about everything a halter horse can win, his owner and devoted friend, Manny Lawrence decided to give Jake a well earned rest. One of Manny's greatest delights in this world is being close to his favorite friend, Jake Jamaal. Manny never tires of seeing him, giving him a scratch and just hanging out with his golden boy. However, Manny soon sensed that Jake was getting restless and decided to put him back to work. Thus began Jake Jamaal's performance career as a western pleasure horse. 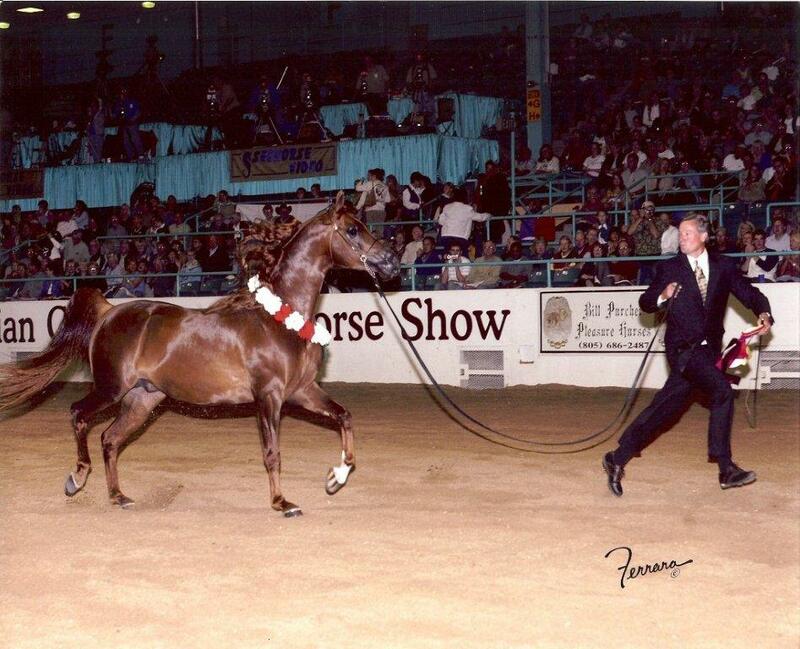 Under the soft hands and gentle guidance of Cynthia Burkman, Jake Jamaal JCA+/ became one of the most handsome western pleasure horses to ever be presented in the show ring. He started out placing and winning at local shows in California where the competition is always among the deepest. 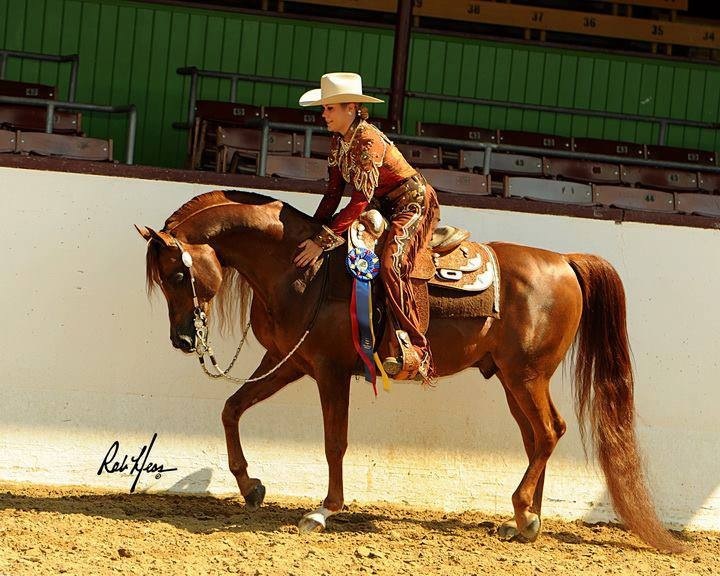 He was named Pacific Slopes Western Pleasure Junior Horse Champion, Region II Pre Show Western Pleasure Junior Horse Champion, Region II Western Pleasure Junior Horse Champion and 2005 U.S. National Western Pleasure Junior Horse Top Ten. The steady climb from the first time he wore leather to becoming an accomplished performance horse and being named one of the ten best western pleasure junior horses in the United States, says a lot about Jake Jamaal JCA+/. Add to that his accomplishments in the national halter arena and you begin to gain some insight to this extraordinary horse. Not only is Jake Jamaal JCA+/ a breathtakingly beautiful stallion, he is kind and gentle, attentive and intelligent and always a gentleman. If that weren't enough, there is yet another developing story regarding this young stallion. If you happen to visit the Santa Ynez area, head to Jade Creek Arabians. Grazing in the lush green pastures you'll see some gorgeous mares, exquisite babies and fancy youngsters. You'll recognize the Jake Jamaal get - they're the ones with the prettiest faces and the golden chestnut coats. They also have shapely necks, long, fine legs and little flags for tails. They really are quite special - but that runs in the family! Every horse has a story, an amazing history that is illustrated by its pedigree. Jake Jamaal's family history is rich with a tradition of success. The fact that he is a so accomplished in several areas should come as no surprise given the number of influential ancestors in his pedigree. Many of the stallions in Jake Jamaal's family are noted as the most important sires of the breed including Nazeer, *Morafic, Shaikh Al Badi, Ruminaja Ali and of course the living legend - Ali Jamaal, Jake Jamaal's paternal grandsire. Other important sires in Jake's pedigree include *Ludjin El Jamaal, *El Shaklan, Bay Abi, Bay El Bey, Bey Shah, *Prichal, *Aladdinn and *Bask. Many of Jake Jamaal's most recent ancestors are of Brazilian breeding and therefore may be a little less familiar to American breeders. However, looking back just two or three generations brings to light names that are eminently familiar. The females in his pedigree are the daughters of these important sires. 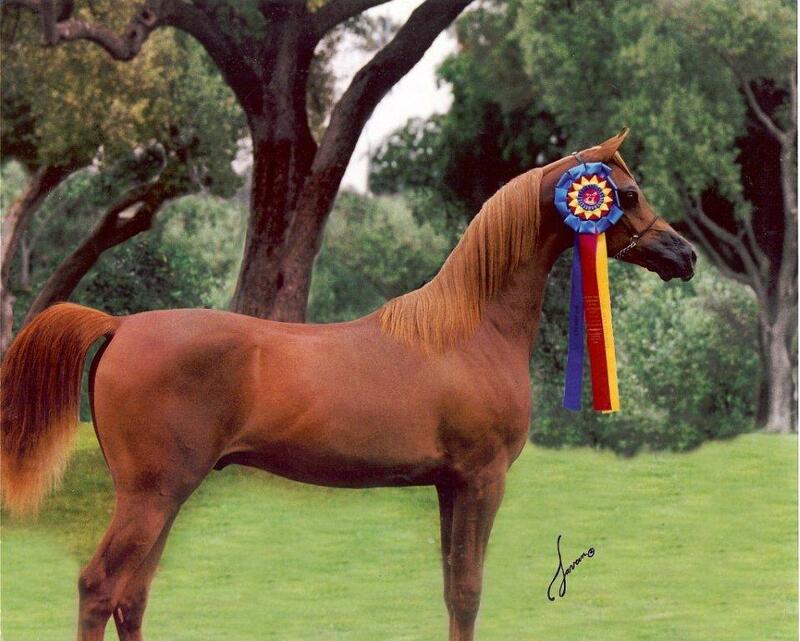 Some of these mares have earned a place of honor in the breed through their own successes including Jake Jamaal JCA's dam, the beautiful bay Brazilian Champion Mare, Von Herte Only One. 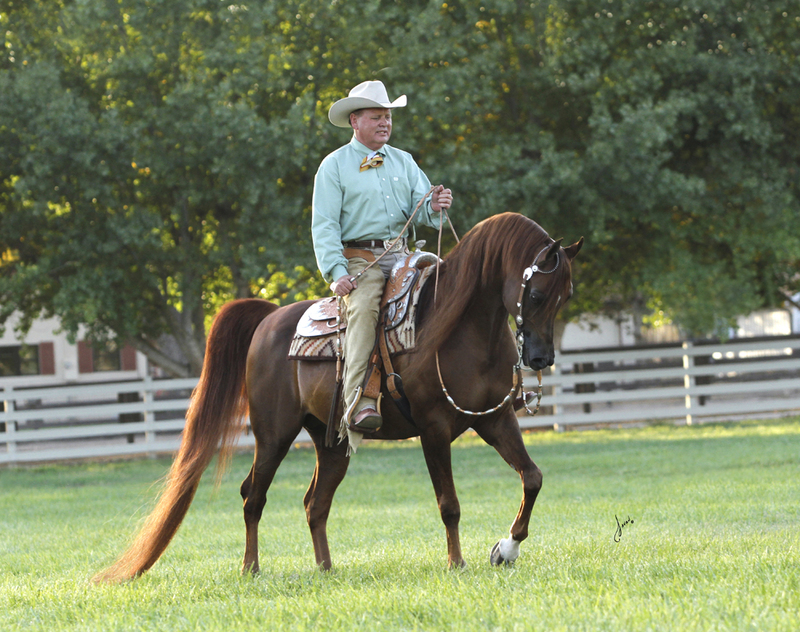 Other important mares in Jake Jamaal's pedigree include Bint Magidaa, Heritage Memory,*Lydira El Shaklan, NV Justa Dream, Bint Miss Fire, and one of the most beautiful mares of the breed today, Jullye El Ludjin. The quality of these individuals is unquestionable and the influence of their blood is undeniable. Jake Jamaal JCA+/ has both the inherited greatness of his ancestors and his own proven qualities, talents and abilities. In addition to his show ring success, Jake Jamaal JCA+/ is also turning out to be quite a sire. His first foals were born in 2003 and with just three foal crops on the ground, already a consistency can be seen. All of his foals, from a diverse group of mares, are very stylish, with a beauty and balance in their silhouettes, a look of classic Arabian type is prevalent and their carriage or movement is confident and free. It's exciting to watch Jake's get racking up show wins, ribbons and trophies in halter competition, but in 2006 the excitement will escalate when his oldest get make their performance debut. Watch for the handsome bay geldings Vargas JCA, and Neiman JCA, the flashy chestnut Jeriko MP and the exotic Silver Fox JCA. Two prime examples of Jake Jamaal JCA's ability to sire exceptional foals are the 2005 colt Jacob JCA, out of the imported Brazilian beauty, *Star Van Ryad (Ryad El Jamaal x Striking Rhapsody by Strike) and the delightful 2005 filly Jada JCA, out of the exquisite Polish imported mare, *Egzonera (Monogramm x *Egzotyka by *Probat). The Jake foals that are expected in the upcoming foaling season have the potential to equal or surpass the quality of this year's foals. Mares in foal to Jake Jamaal JCA for 2006 include three daughters of Monogramm, National Champion Mare *Fallada, *Ekscella and once again, *Egzonera. 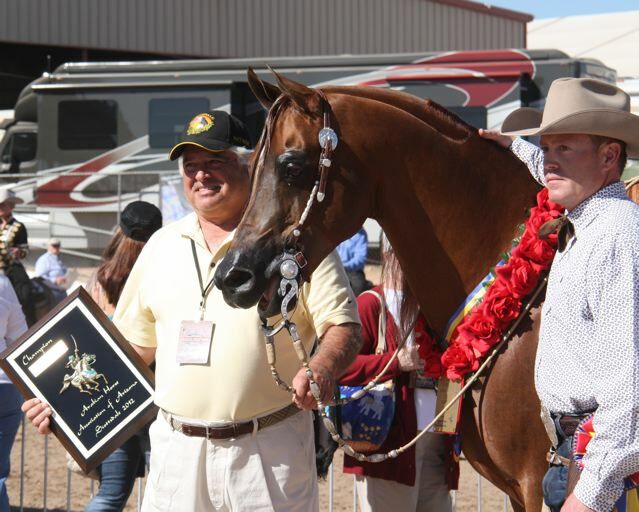 Although only time will tell, Jake Jamaal JCA's greatest accomplishment may not be as a U.S. National Reserve Champion Futurity Colt or as a U.S. National Top Ten Western Pleasure horse, but as an important contributor to the Arabian horse breed. There is no doubt that the next chapter in the story of this young stallion will be one of greatness.